In a new series directed by Andy Coyle–with illustrator Luke Pearson an executive producer–the ‘Hilda’ series of graphic novels from Nobrow’s Flying Eye Books is to premiere on Netflix in September. 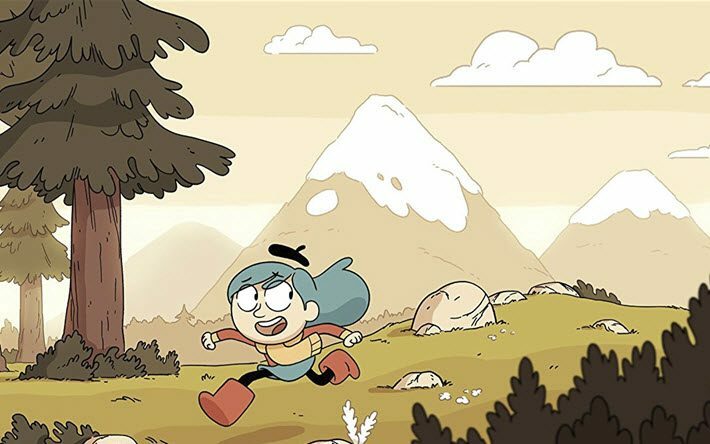 Having reported on Serial Box’s new potential fast track to television production this week—with Molly Barton and Julian Yap announcing a first round of funding led by Boat Rocker Media—we have news today of more book-to-screen interest in the coming Netflix adaptation of Hilda by UK illustrator and author Luke Pearson. Hilda is a graphic-novel series, one part of which, Hilda and the Stone Forest, was nominated last year for an Will Eisner Comic Industry Awards last year as Best Publication for Kids aged 9 to 12. The show is a production of Silvergate Media, the producers of Octonauts, in collaboration with Mercury Filmworks. The series is to feature actress Bella Ramsey (Lyanna Mormont in Games of Thones) as the voice of Hilda. From Flying Eye, we learn that Hilda was originally titled Hildafolk, and was released in 2010 as part of a Nobrow initiative to promote up-and-coming illustrators by giving them free reign to create a short comic story with a small print run. 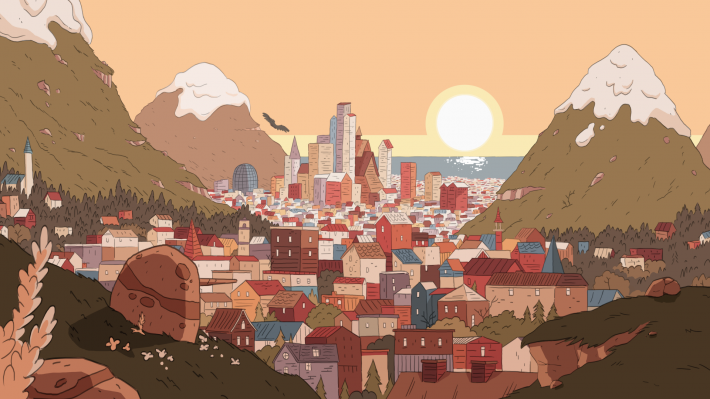 So successful was the Hildafolk short comic that Nobrow published a follow-up book, Hilda and the Midnight Giant—the publisher’s first graphic novel for children. The Hilda series has since grown into a bestselling series, complete with a blue-haired action-figure in its merchandise (termed a “vinyl art figurine,” please, in promotional material). 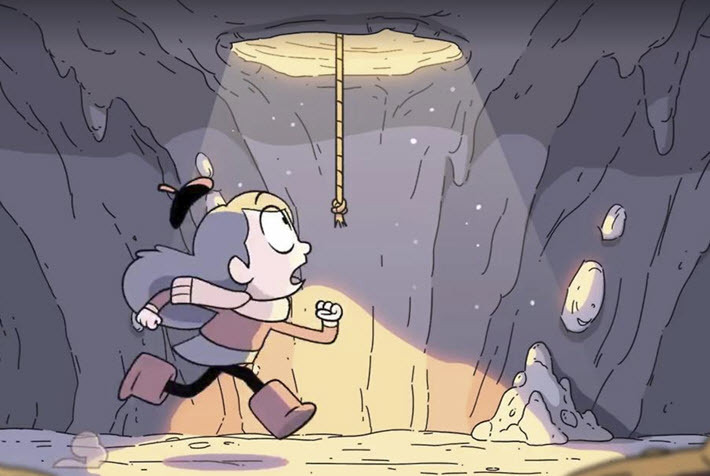 Five Hilda graphic novels are currently in print, with a sixth expected to release in October following the Netflix kickoff of the series. Pearson lists a who’s who of clients including The New Yorker, The New York Times, Süddeutsche Zeitung, WIRED, The New Republic, Disney Television Animation, Nickelodeon, and The Guardian. No stranger to television and cartooning, he storyboarded episodes of Adventure Time for the Cartoon Network in its fith and seventh seasons. 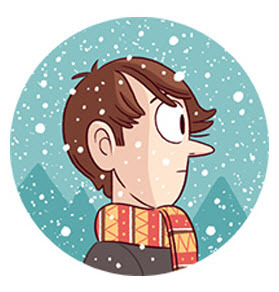 His Hilda cast, in addition to Ramsey, is to include Ilan Galkoff, Kaisa Hammarlund, and Reece Pockney. Flying Eye has been airborne since 2013 and specializes in the work of illustrators, in picture books, nonfiction, and graphic novels. More from Publishing Perspectives on illustration is here.